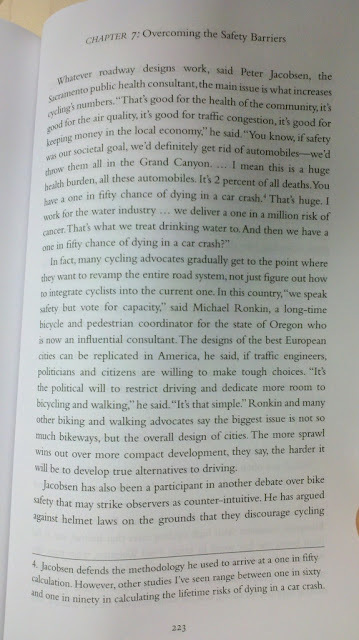 I have been pulled into the Vehicular Cycling debate because I dared question the National Committee members on the topic through the NCUTCD listserv. Wading into that conversation is disconcerting. The first round of dialogue centered on the "fact" that education was the answer. 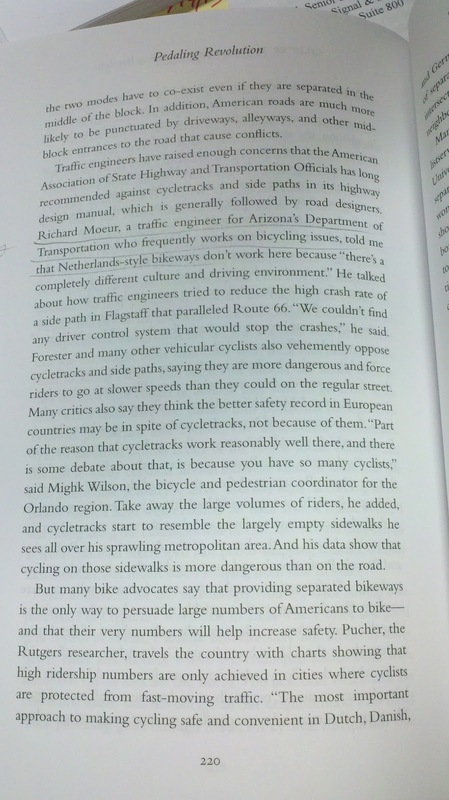 All we need to do is get more people educated about positioning their bicycle and we should have savvy cyclists. As an accomplished cyclist myself, I enjoy having a bike lane when there's an ability to provide one as opposed to sharing a lane with high speed traffic. I was basically told that my 7 year old should keep her bicycle on the playground and that Portland's safety hasn't gotten better, that we're just masking the data with fancy statistics. The City Club's recent report "No Turning Back: A City Club Report on Bicycle Transportation in Portland " highlights the steps a group of prominent citizens believe we should take with cycling in the Best Bike City in America. It's interesting that the Vehicular cycling folks are in largely suburban areas where cycling is largely representative of less than a half percent of the population. Pedaling Revolution has a nice Chapter on Overcoming the Safety Barriers to bicycle transportation that's worth sharing, so I have taken photos of the book from Jeff Mapes' book, which I highly recommend, Buy it here at Powells! A summary of some of the Vehicular cycling concept arguments..